The sweeping Elementae series continues with a heroine so powerful she can command the sky . . . But Cyrus is close to uncovering her secrets--not only that Aspasia is a wind Elementa with the ability to sail her ship through the sky, but that she is also searching for her lost family. 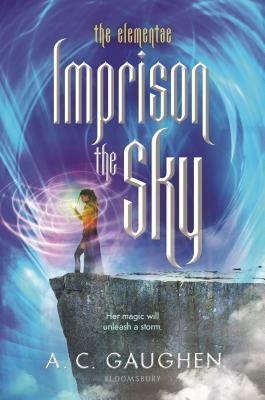 And if Aspasia can't find her younger siblings before Cyrus does, she will never be able to break free. A. C. Gaughen is a freelance writer and regular blogger who has had several stories published in the Chicken Soup for the Soul series. She attended college in Scotland but now lives in Massachusetts, USA.